Applicants who have completed Secondary school pass and lineman / Electrician / Power Electrician / Wireman / ITI in SBA Business or equivalent from a recognized Institute for RVUNL Recruitment 2018. Eligible & Interested candidates can apply via online in Official website page at www.energy.rajasthan.gov.in RVUNL Recruitment 2018. Complete the RVUNL Jobs Application Form with the essential data. Take a print out of RVUNL Recruitment 2018 online application form. Assistant Engineer: Applicants who have completed Graduation degree in Engineering (Electrical, Mechanical, Civil, Information Technology) or equivalent from a recognized Institute for RVUNL Recruitment 2018. Junior Engineer – I: Applicants who have completed Graduation Degree in Engineering (Electrical, Civil, Control & Instrumentation/ Communication, Fire & Safety) or equivalent from a recognized Institute for RVUNL Recruitment 2018. Junior Chemist: Applicants who have completed Graduation Degree in chemistry or equivalent from a recognized Institute for RVUNL Recruitment 2018. Eligible & Interested candidates can apply via online in Official website page in www.energy.rajasthan.gov.in HURL Recruitment 2018. 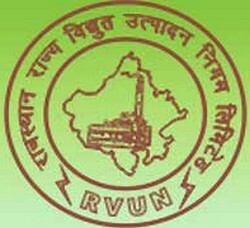 Log on to RVUNL careers page at the official website www.energy.rajasthan.gov.in.